Princess Disney studied a lot and made a world-class discovery! They created a time machine. This is an incredible event that people have dreamed for a long time. Now princesses can go back and see how the world was many years ago. In addition, girls can find out what dresses and hairstyles were worn at the time. They also wonder what they wore in the last century. After all, fashion at that time was very diverse and changed very quickly. But no less interesting thing is the fashion of the future. Girls really want to know what fashion will be in 10 years or in 1000 years. 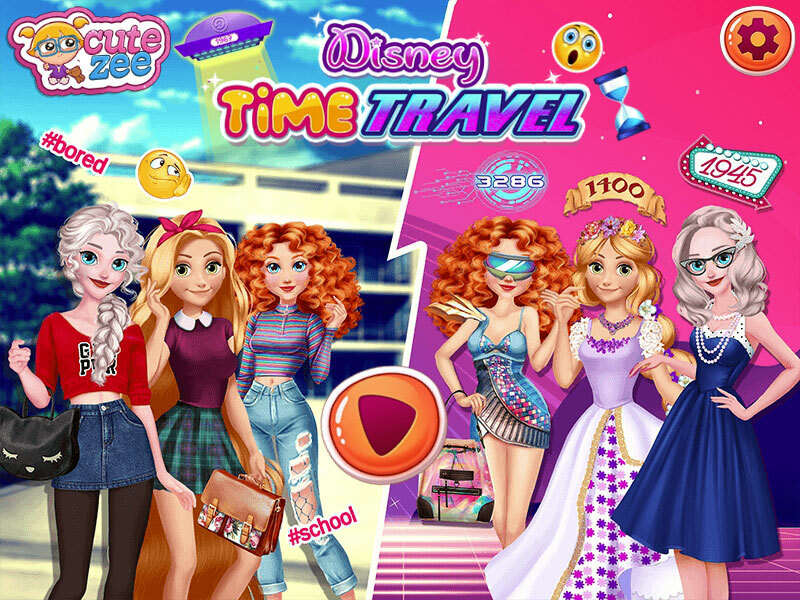 In this game of the Disney Princess Dress Up Travel Time, you and our darlings will use the time machine and find out how fashion changes in different years. I think you enjoyed the game very much and want to see other princess games. And it is right. After all, the site fungirlsgames.net a huge number of games with the Disney princesses. Follow the link and have a great time! Played: 3195. Added: 23-01-2019, 09:47. Disney princesses Time travel game.